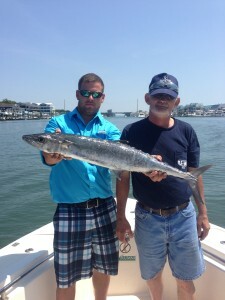 ProFishNC Charters June Fishing Report: SUPER HOT FISHING! 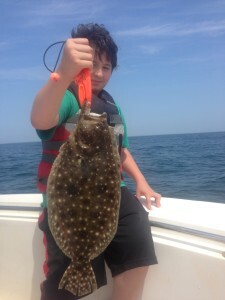 ProFishNC Charters Fishing Report for Southeastern North Carolina including our Topsail Beach, Wrightsville Beach, Carolina Beach, Figure Eight Island and Wilmington Fishing Charters. Summer is Here and the Fishing is HOT ! We are currently catching a huge variety of species on our “combo” Fishing Charters. We have introduced our Fishing Combo Charters which is a good mix of fishing techniques allowing for a widely mixed bag. On our Combo Charters we troll for Mackerel, Bluefish and Tuna… Then Bottom Fish for big Offshore Flounder, Black Seabass, Silver Snapper… We jig for Grey Trout, Jacks and Cobia… Sight fish for F. Albacore, Spanish Mackerel, Cobia & Jacks…We can top it off with inshore or jetty fishing at anytime during the charter. I have found that many of my clients prefer this mixed approach to fishing as it allows both a huge variety of fish and lots of action! 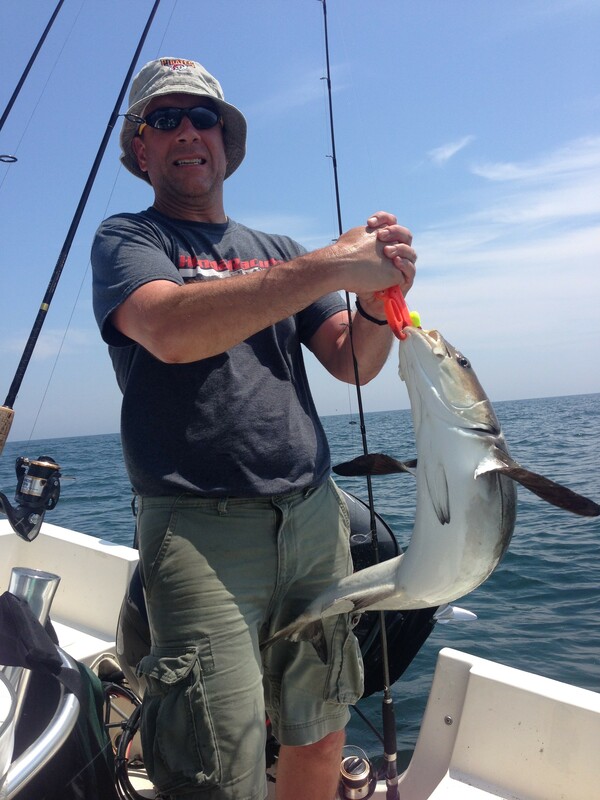 Whats Biting Nearshore and Offshore… Everything! U name it and we are probably catching it. We are catching big cobia sight fishing the buoys and bottom bouncing big jigs in the 3-10 mile range. The huge offshore flounder are now running and we are catching them on both live baits and bottom jigs (Berkeley Gulp on a 2-3oz jighead). Spanish and King Mackerel are here as well in good numbers as we are picking them up trolling YoZuri Deep Divers & Spoons. Black Seabass and Silver Snapper are biting well in the 5-10 mile range picking up most of them on jigs and fresh cut bait on circle hooks. Whats Biting Inshore… Just about all of our inshore species including Flounder (we are having 20+ fish days most days), Speckled Trout, Red Drum, Black Drum, Sheepshead, Grey Trout, Bluefish, etc. We are picking up most of our gamefish on artificials; however, live baits are key as well. We are fishing a lot of backwaters right now including South Topsail Island Fishing the Inlet and Flats, Figure Eight Island Fishing Masons Inlet and the backwaters of north Figure Eight Island. Wrightsville Beach Inshore Fishing includes Masonboro Inlet and all of the tributaries and inshore fishing waters of Wrightsville Beach and Wilmington. Inshore Fishing Carolina Beach includes both the inlet, Snows Cut and the Cape Fear River. Our Summer Fishing Charters are booking up incredibly fast this season so be sure to give us a call and check out our new Topsail Beach Fishing Charters website & remember to TAKE YOUR KIDS FISHING! This entry was posted in Fishing Reports, ProFishNC News, Uncategorized on June 15, 2014 by admin.